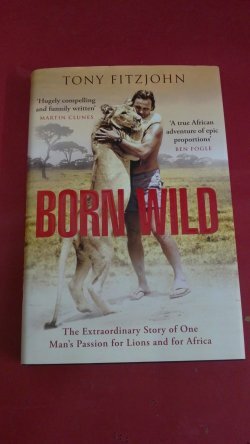 Born Wild is a story of passion, adventure and skulduggery on the frontline of African conservation. Following Tony Fitzjohn's journey from London bad boy to African wildlife warrior, the heart of the story is a series of love affairs with the world’s most beautiful and endangered creatures – affairs that so often end in pain, for to succeed in re-introducing a lion or leopard to the wild is to be deprived of their companionship. Tony tells of his twenty years in Kenya with George Adamson of Born Free fame - a time of discovery, isolation and frequent danger living far from civilisation. And when he was prevented from re-introducing any more animals into the wild and made unwelcome in the country he loved, Tony had to start anew in Tanzania. 332pp.